Even if you are a total pro at taking public transportation in large cities around the world, Tokyo subway system can be daunting, especially for first time visitors. First there is the language barrier. Then, an insanely big area to cover and equally insane number of lines and combinations which can take you to your destination. On top of this, there are a few different train companies which serve the Tokyo subway system. But fear not: the world’s largest metropolis has a remarkable metro system, which allows the city’s 35 million residents, plus a few tourists, to efficiently move all over the city, in every direction, every day. I guarantee, you will quickly come to love the Tokyo metro system. The Tokyo metro is not only fast, but also super clean and always on time. The trains run very frequently, so if you miss one, you can count on the next one pulling up in just minutes. 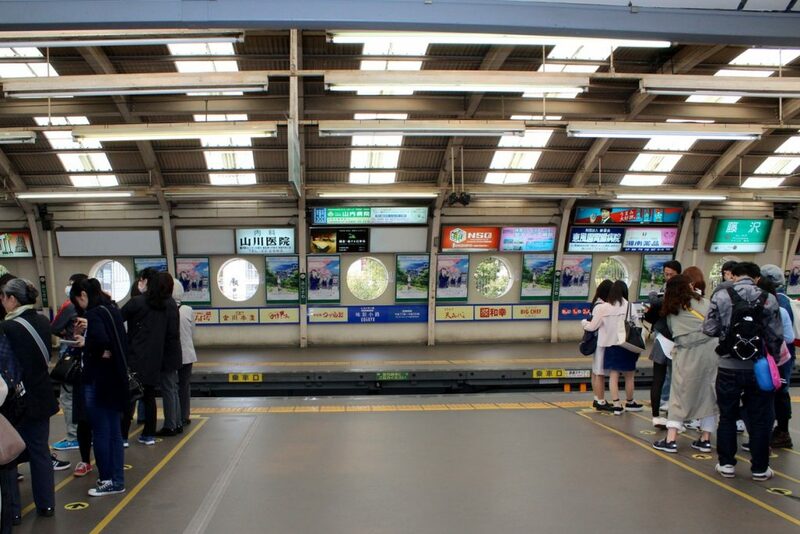 The metro will help you reach any desired destination in the city including Tokyo’s main tourist attractions. The metro is even connected to many attractions underground, which comes in very handy when the weather is less than ideal. Perhaps the best part of all, riding the metro in Tokyo will also allow you to have a unique cultural experience with the city’s every day life. The first confusing thing for visitors is not the intricate web of Tokyo’s subway lines, but the fact that they are run by different companies, which each require a separate ticket unless you purchase an IC card (read on). In addition, some lines in Tokyo which act as a subway within the city’s limits are run by JR, the Japanese Railway Group, which most visitors use to purchase the well-known Japan Rail Pass, used for transportation from one Japanese city to another. It’s not as bad as it sounds though. Basically, you can expect to mostly deal with three providers: Tokyo metro and Toei lines, which both run underground, and JR trains, which run above ground. Many stations for all of these lines are either connected or located next to each other making it easy for passenger to switch trains in order to reach their desired destination. 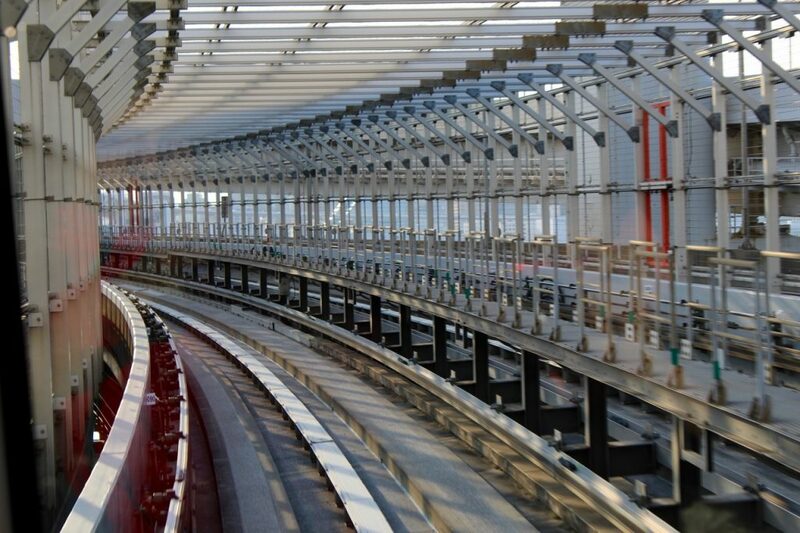 There are a few additional train lines such as the Yurikamome, a fully automated train service operated by the Tokyo Waterfront New Transit Corporation, which you use to reach Tokyo’s island of Odaiba, but you will learn about any “special lines” only if you need them. The view from the front seat on Yurikamome, the famous “driverless train”, which connects the city with the island of Odaiba. Smart Traveler Tip: The Tokyo subway system shuts down completely between midnight and 5:00 am every night. Keep this in mind if you want to attend the famous tuna auction at the Tsukiji Market, a big tourist attraction. It begins very early in the morning with lines starting to form around 3:00 am, meaning the metro will not be an option. Every Tokyo train station is labeled alphanumerically: the letter represents the subway line and the number its location. For example, in order to get from Shinjuku, where we were staying, to Ginza, where the Tsukiji market is located, all we had to remember is that we had to take the M line from M8 (Shinjuku) to M16 (Ginza). Like in other cities, the lines also each have a color code. The M line (short for the Marunouchi Line) is also known as the red line. This map of Tokyo’s metro system was very helpful. You can usually get it at your hotel’s concierge desk, all the train stations and through several apps. Knowing the station numbers is very helpful so that you know if you are taking the train in the right direction: the platforms all have arrows pointing to the next stop with the corresponding number. In our case, we made sure we were going in the direction of M9, the next stop after the one where we were boarding our train. The station stops are also all announced in English by the train’s PA system and there is a live display in every train car to help you know exactly where you are and which stop is coming next. Note that many stations have several intersecting lines and because of that, a certain station can have several names. For example, the Ikeburo station is labeled Y9 (yellow), F9 (orange) and M25 (red), depending on which line you are using. There are many free apps that can help you navigate your way through the Tokyo metro system and I highly recommend getting one. We used Metro Tokyo Subway, which has an easy route planner: enter your starting location and the desired end stop and it will promptly provide you with the best route, the time it will take to reach your destination and fare information you can use to purchase your ticket from the vending machines. It can be used off-line although you do need to be connected to first calculate your route. Every train station has a customer service counter, usually located next to the entrance/exit gates. We found the staff friendly and helpful even if they frequently did not speak much English. 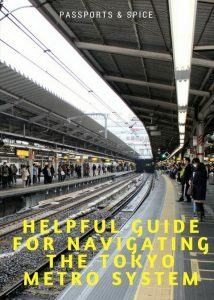 It was enough to point us to individual routes (like “go left for red line’) or directions (“that way to Ginza”). We also stopped a few fellow passages who were all always happy to help even when rushing to or from work. If you are planning to be in Tokyo more than a day or two, it makes sense to buy a rechargeable travel card, called the IC Card. Your fare won’t be cheaper, but you won’t have to buy individual tickets every time you ride. Simply wave your card by the scanners as you enter and exit each station, the fare will be deducted as you exit based on the distance covered. You will have to pay a small deposit fee, but it will be refunded when you turn it back in at one of the station windows along with any amount that might still be on your card. It is a good idea to register your card: in the event you loose it, it will be reissued to you. There are two different cards: Suica (purchased from JR ticket machines) and Pasmo (purchased from Tokyo Metro ticket machines). They are interchangeable and can be used on all Tokyo train and bus lines. 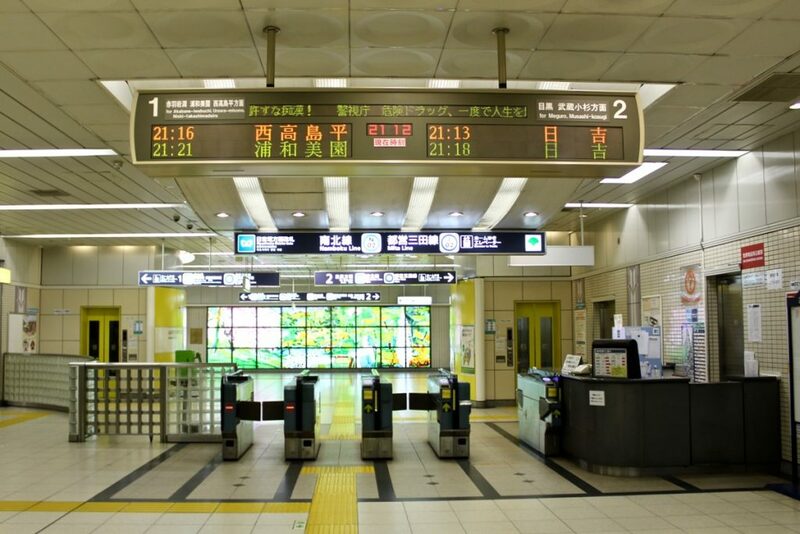 All Tokyo subway gates are equipped with IC chip readers to allow for quick and easy access and exit. There is also a customer service counter in a booth next to the gates should need assistance. The IC cards can also be used outside of Tokyo, so if you are heading to Kyoto or Osaka, you can continue to use them there. However, in order to collect your deposit fee plus any unused money, you have to return the card where it was purchased. For example, you cannot return a card purchased in Tokyo, in Osaka. 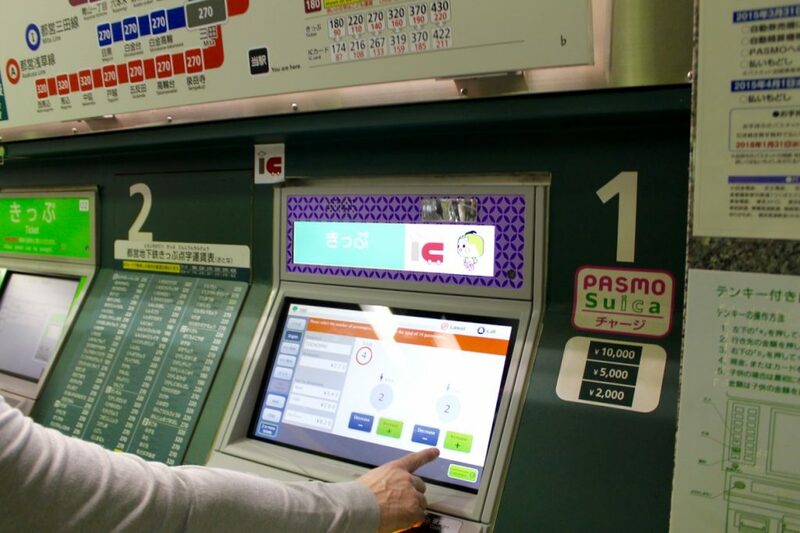 Smart Traveler Tip: In addition to paying for your ride, IC cards can also be used at vending machines and many stores in the station areas, which can be very convenient. To make your travels more economical, you can buy an unlimited ride daily pass which cost 800 Yen. Planning for our trip, we were advised that it is usually not worth it unless you are planning to use many routes and connections within one day. After our trip to Tokyo and using the subway for a week to go everywhere, I agree. It does get much more economical with a 2-day and a 3-day unlimited ride pass, which cost 1,200 and 1,500 Yen respectfully, but keep in mind that you can only use them on two (or three) consecutive days. If you do decide to buy one of the unlimited ride passes, make sure it will work for the lines you plan on using. You can also simply purchase tickets from the ticket vending machines as you go. 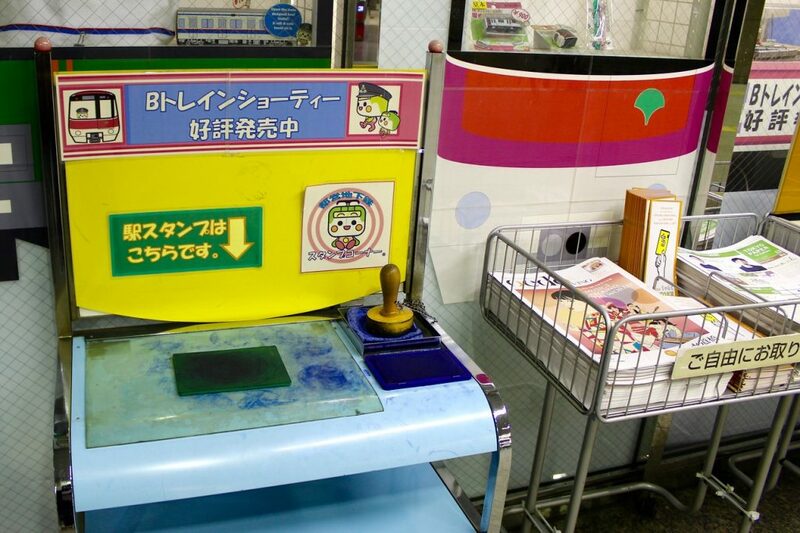 They are located at every station and accept coins and bills, but no credit cards, so make sure to have cash. They look crazy intimidating at first, but there is an English option for the automated screen, just look for the “English” button. You will have to enter the fare amount based on your destination, which is usually displayed on the map located above the machines. Smart Traveler Tip: If you are not sure about the correct fare to your destination, select the lowest fare. It will be adjusted, if necessary, as you exit each station. The additional required amount will be displayed on the scanner and you won’t be able to exit without paying the difference. You can use one of the machines or simply hand the money to the attendant at the service counter. Any big metropolitan rush hour means thick crowds running in every direction. This is especially the case in Tokyo given its overwhelming size. If you want to avoid the rush hour, try to ride the metro between the hours of 10:00 am and 5:00 pm, especially if you are traveling with younger children or are easily overwhelmed by crowds: Tokyo’s rush hour is not for the faint of heart. If, however, you are up for an adventure and a very unique cultural experience, then by all means, hit the subway early in the morning or when everybody is leaving work to go home, in the early evening hours. You may get to see white gloved train attendants push waiting passengers into the cars to cram more people in and allowing the doors to close. On escalators, always stand all the way to the left and walk on the right. When climbing the stairs, stay on the left side. This is the opposite of how we do it here in the U.S. and it is an especially handy tip to remember if you decide you do want to experience the Tokyo rush hour. At stations, line up for the arriving bus or train, like everyone else. There are usually markings on the ground outlining exactly where the train doors will be located after the train stops. Neat orderly lines to board trains are the norm in Japan. Do not eat or talk loudly and make sure your phone is on silent or you will get plenty of annoyed looks from fellow commuters. While virtually every passenger in Tokyo’s subway was glued to their smartphone, we never heard any ringing or loud talking on the phone. Same applies for playing loud music. Always give up your seat to elderly, people with disabilities, pregnant women or people with small children. It’s not just a nice thing to do, it’s the law in Japan. Here is a cultural nuance: they will almost always refuse at first, so you might have to make a few attempts. Just get up and point to your seat as a way to say “I insist”. If you have a backpack, the proper etiquette is to remove it and place it in overhead racks, particularly during rush hour, to free up space. Same goes for any larger shopping bags. Smoking is illegal in public places in Japan and you can be fined. Especially on trains, smoking is a serious offense. If you must, many train stations have a “smoking room”, an enclosed place designated for smokers. In Japan, some trains offer women-only cars to offer an extra measure of safety and eliminate concerns about inappropriate conduct such as unwanted touching. Tokyo Metro offers women-only cars during the rush hour. The platforms are clearly marked with signs indicating the locations of cars that are for women only; often it is the last car. 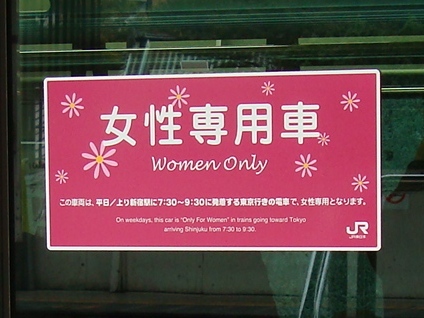 In Tokyo, women-only train cars are offered during rush hour and are clearly marked, both the cars and the platform boarding area. 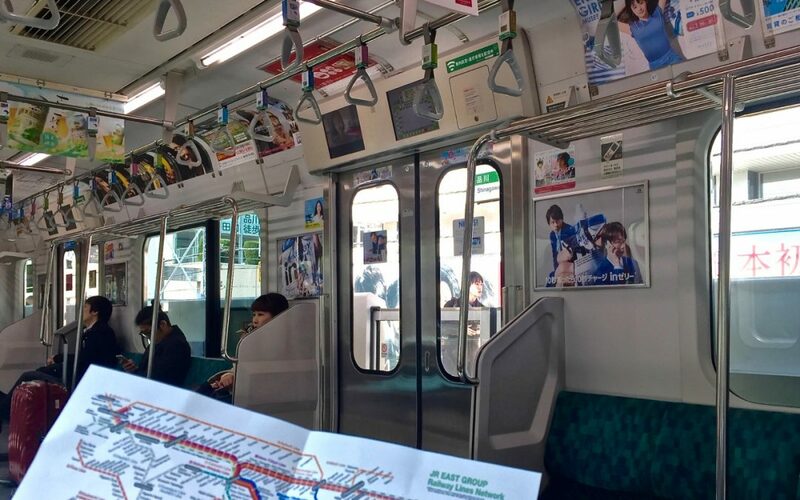 According to Tokyo Metro’s website women-only cars can also be used by elementary school students and younger children, physically or mentally impaired passengers and their caregivers. A child under 6 does not need a ticket and kids under 12 ride at half price in Tokyo. If buying an IC pass, make sure you purchase the one for children which deducts a child fare for each ride, as opposed to an adult one. Similarly, if you are purchasing individual tickets from a vending machine, make sure to select a button for the child fare. They are easy to spot. Smart Traveler Tip: In Japan, there are commemorative stamps, called eki stampu, everywhere, including train stations. If you are traveling with kids, they will have fun collecting them as unique Tokyo souvenirs, just remember to carry a travel journal or something similar to able to collect the stamps. Kids will love collecting eki stamps, which you can usually find at every train station. They are a fun and unique souvenir from your trip to Japan! Hope you find these tips helpful. Have fun exploring Tokyo! This is informative article ..